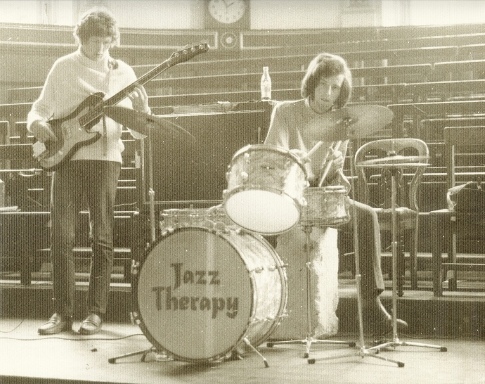 Jazz Therapy at TCD in 1969, LR: Jolyon Jackson, Brian Masterson, Roger Doyle, Chris Hanney. The members of Jazz Therapy first came together when Roger Doyle placed a "drummer wishes to form jazz group" advert in the Evening Press. 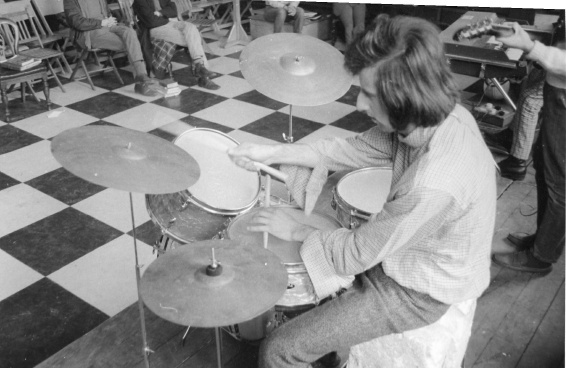 Brian Masterson and Jolyon Jackson responded and together with Alex Clarke they formed the Alex Clarke Quartet who played jazz circles in and around Trinity College in 1968 or 1969. 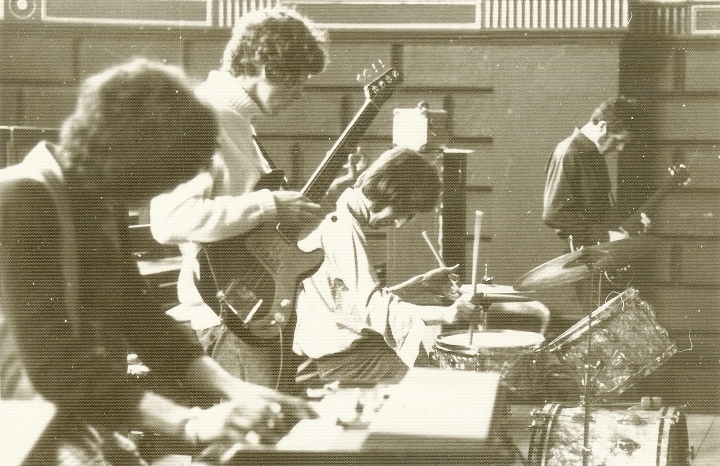 This led to jazz/rock and experimental improvisation band Jazz Therapy in 1969 with Chris Hanney on guitar. Jackson and Masterson later formed Supply Demand and Curve in 1970. Roger Doyle pursued a solo career and was also a member of Supply Demand and Curve. Chris Hanney co-founded Under River. 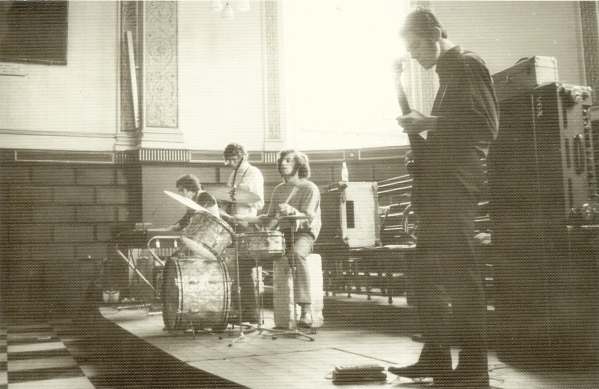 The name Jazz Therapy may have been revived on occasion for gigs during the 1970s: they are reported as having played Rag Week at UCD (in the Great Hall on Earlsfort Terrace, now the of the National Concert Hall) on 23 February 1971 with The Dirty Dozen and Thin Lizzy. Apart from a Pete Brown and Miles Davis tracks, they also performed a track called "Supply Demand and Curve" or one originally by SD&C - this isn't clear from the review. 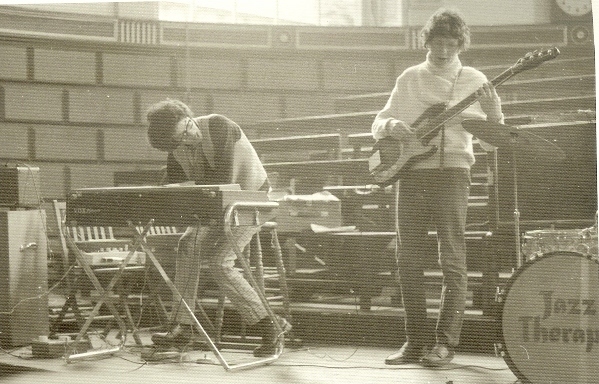 Another track mentioned is "Rose is Blue" featuring Mary Richardson on vocals.